Osteoporosis is a condition, more common in women than men, that causes bones to become brittle and fragile. This makes bones more susceptible to breaking. Bone fractures attributed to osteoporosis affect an estimated 1.5 million people annually and can seriously impact one’s health and quality of life. Some women, particularly those without good access to health care, experience fractures that could have been prevented if their osteoporosis had been treated. Yet, many women who are warned about the dangers of osteoporosis don’t actually need to worry. The pharmaceutical industry has had a large impact in shaping how we diagnose and treat osteoporosis, tipping the scales towards over-diagnosis and over-treatment in order to boost their profits. The NWHN has fought back at every turn: shining a spotlight on dangerous screening and treatment practices while disseminating evidence-based information on osteoporosis directly to women who deserve to know. Manufacturers of osteoporosis drugs used a variety of tactics to expand the market for their products. They conducted aggressive advertising campaigns to get younger and younger women to be afraid of osteoporosis. They pushed for routine osteoporosis screening with a tool called DEXA, which assesses bone mineral density, despite fact that bone density is a poor marker of bone strength. DEXA only assesses quantity of bone, not quality. Though DEXA can predict some women who are at risk of hip and spine fracture, it fails to capture many women who have dense but weak bones. Importantly, it vastly over-estimates how many women are at risk in order to prevent a small number of fractures. Really, this screening test was the pharmaceutical industry’s thinly veiled attempt to expand the market for osteoporosis drugs to women in their 50s and 60s with some bone density loss but low risk of fracture. One of the most damaging consequences of the widespread use of DEXA as a screening test for osteoporosis is that women suddenly started being diagnosed with a condition called “osteopenia.” This term describes reduced bone density, but is not a disease or a disorder. The heightened fear around osteoporosis led physicians to prescribe bisphosphonate drugs to try and prevent women with osteopenia from developing osteoporosis. Despite being at very low risk of experiencing a fracture, these women were prescribed drugs with serious side effects for years. While DEXA tests are still widely used to screen for osteoporosis today, awareness of the test’s flaws and limitations have spread (see more about these limitations on our osteoporosis screening health information page). Providers are now being encouraged to consider a wider variety of risk factors when helping patients make treatment decisions instead of relying on DEXA results alone. This shift is due in large part to the work of patient advocacy groups like the National Women’s Health Network. The NWHN also supports the work of researchers to find better screening techniques that could be used routinely to identify women who are at risk of fracture. To learn more about these techniques, visit our fact sheet on emerging developments in osteoporosis care. Women who have been diagnosed with osteoporosis or osteopenia based on decreases in bone density are usually told they need to take prescription medications to prevent further bone loss and prevent fractures. 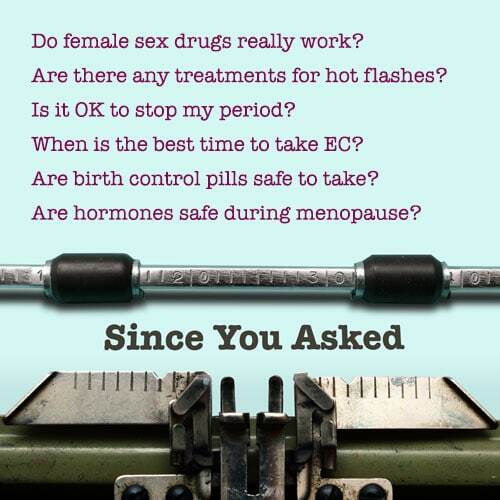 As a result, many women take these drugs unnecessarily — despite their serious side effects and dangers. However, the link between bone density and fracture has some flaws. A drug that boosts bone density does not necessarily reduce the risk of fractures. For example, bisphosphonates, which cause huge boosts in bone density for many women who take them, can prevent vertebral fractures, but are unable to prevent a woman’s first hip fracture – even if her bone density increases during treatment. Women don’t care if their bones are more dense if they still fracture. More stringent standards for drug approval could have saved hundreds of women from experiencing the rare but serious side effects of these treatments. The NWHN has pushed for higher standards for osteoporosis drug approval. The National Women’s Health Network has highlighted the dangers of these medications from the start and relentlessly condemned the recklessness way osteoporosis drugs were prescribed to women who did not need them. In the 2010s, the NWHN helped bring forward the testimonies of women who had taken bisphosphonates and experienced devastating side effects like fractures of the mid-thigh that occurred without trauma (atypical femur fractures) and disintegration of the jawbone (osteonecrosis), side effects that were unknown when the FDA approved the drug. Ironically, these women were otherwise healthy and had taken bisphosphonates to prevent the onset of osteoporosis. Eventually, the FDA added a warning about these side effects to the label of all bisphosphonate drugs and recommended that consecutive treatment stop after five years. Studies on new osteoporosis medications must now record incidents of atypical femur fracture and osteonecrosis of the jaw. Decades of hard work have produced incredible results. Pharmaceutical companies have backed away from the aggressive campaigns we saw in 1990s and 2000s that targeted younger and younger women for screening and treatment. The dangers of menopause hormone therapy, a treatment we advocated against, were uncovered, and the drugs are no longer recommended for osteoporosis treatment. Doctors no longer prescribe bisphosphonates preventively or indefinitely, and the number of bisphosphonate prescriptions overall have drastically decreased since their heyday in the 1990s. We fought long and hard for all of these victories, big and small, but there is so much more to be done. The way we screen and treat osteoporosis is still deeply flawed. The NWHN thinks women deserve better, and we’re fighting to make that vision a reality. We support the efforts of researchers looking for better screening tools. We are pushing the FDA to hold drug companies to higher standards for demonstrating safety and efficacy in osteoporosis drugs. We regularly bring women’s voices to regulatory decision makers at the FDA. We monitor developments in osteoporosis treatment to ensure that the pharmaceutical industry, regulatory authorities, and policy makers do not repeat the same mistakes, and we sound alarm bells when we are concerned. We also advocate for comprehensive insurance for all women so those who need of treatment or screening can access these services. In summer of 2017, Executive Director Cindy Pearson and Policy Fellow Caila Brander sat down to share the facts on osteoporosis. Check out their conversation for more about the NWHN’s advocacy efforts! Join our Executive Director Cindy Pearson and Policy Fellow Caila Brander for a discussion about osteoporosis past and present. From Big Pharma to bone health, they'll cover it all! The National Women’s Health Network is committed to ensuring that women have access to accurate, balanced health information and services. We will not stop fighting until all women have access to better osteoporosis screening and treatment options, and are empowered with the tools to make sure their medication is working for them, not against them. Stay informed about osteoporosis and other women’s health issues by signing up for our e-alerts. Be sure to keep up to date by following us on Facebook, Twitter and Instagram and join the conversation by using the hashtag #NWHNIsWatching. 2. Kanis JA, Johnell O, Oden A, Johansson H, McCloskey E, “FRAXTM and the Assessment of Fracture Probability in Men and Women from the U.K.,” Osteoporosis Int. 2008; 19(4):385-97. 3. Stone KL, Seely DG, Lui L, Cauley JA, Ensrud K, Browner WS, Nevitt MC, Cummings SR, “BMD at multiple sites and risk fracture of multiple types: Long-term results from the study of osteoporotic fractures” J Bone Miner Res, 18: 1947–1954.